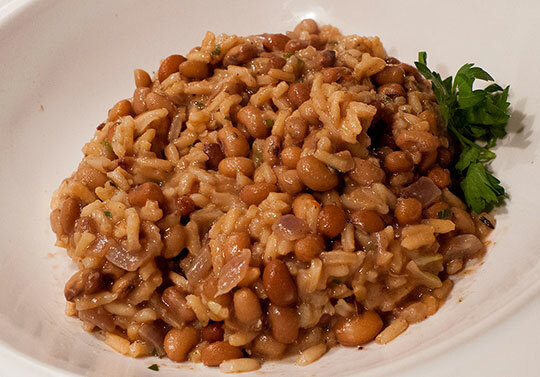 As everyone knows, Hoppin’ John is a Gullah dish that utilizes all sorts of delicious things. Namely salt pork, red peas (or black eyed peas or cow peas), and rice. Rinse pork belly and pat dry with paper towels. Place in non-reactive dish. Combine dry ingredients thoroughly, and use some to coat the pork on all sides. (Rub the whole spices in hard. You want them embedded.) Reserve remainder of dry rub. Place plastic wrap on top of pork in dish, and then weights on top of the plastic wrap, pushing down on the pork (cans of beans are good for this, or canned tomatoes, or whatever you have). Refrigerate for 5 days, removing every 24 hours, tossing any liquid thrown off by the pork, and rubbing with a new measure of dry rub. At the end, rinse off dry rub and wrap pork in cheesecloth. It will keep in fridge for “one month” (i.e. forever, why do you think they salted pork in the first place). The Lithuanians slice salt pork extremely thin and eat it on dark dense sour black bread spread with butter. The Ukrainians and Belorussians are said to drive for 6 hours or more to taste this delicacy. On to the Hoppin’ John. 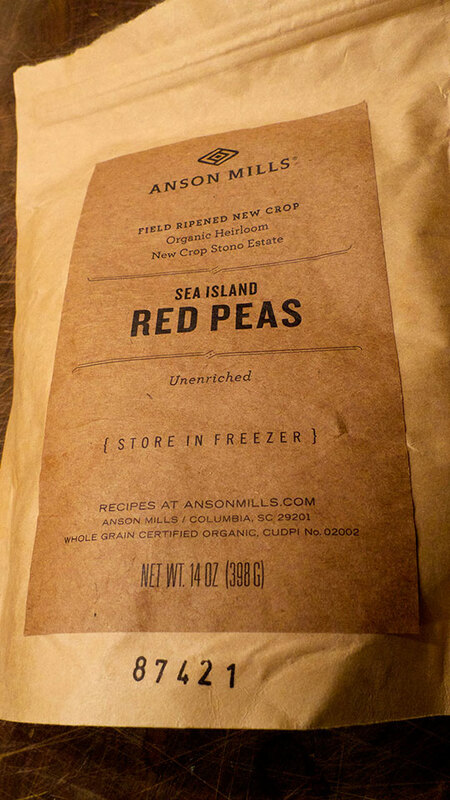 I used Anson Mills red peas that had been languishing in my freezer. Soaked overnight, then cooked in their cooking liquid. The Anson Mills recipes are way too fussy for my taste and use far too many ingredients, so I turned to the always trusty John Thorne for a recipe. Boil 5 cups water (ideally the soaking water from the beans, with more added if necessary), add beans (“peas”) with bay leaf and simmer for 45 minutes until the beans are soft enough to crush against the roof of your mouth, but not mushy. Meanwhile, render salt pork in frying pan until crispy. Remove the crispy pork and reserve. Fry onion in the rendered fat (add 1-2 tbs butter if pork hasn’t thrown off enough fat) until translucent. When beans are ready, eyeball the remaining liquid. There should be about 2 1/2 cups in there. If not, add water till you think it’s at the right level. Then add salt pork, onions, uncooked rice and all the other seasonings. Bring to a very brief boil then simmer for 20 minutes uncovered. At the end, the liquid should be just about gone and the beans and rice almost or pretty much cooked/perfect. Turn off the heat and let sit for 10 minutes. Serve, with a little extra fresh parsley on top, hot sauce or freshly chopped chiles at the table, cornbread, bitter greens, salad. Adapted from John Thorne, Serious Pig.